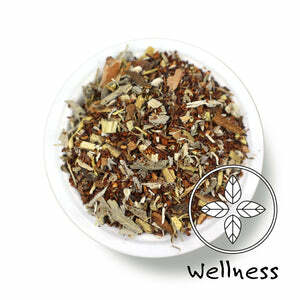 Elecampane: assists in cleansing lungs when experiencing phlegm or mucous discharge. Marshmallow root: moistens mucous membranes in the respiratory system *may slow absorption of orally administered drugs. Take any drugs at least 1 hour prior or several hours after consuming. licorice: aids in loosing and expelling phlegn *can affect blood pressure in very large doses. 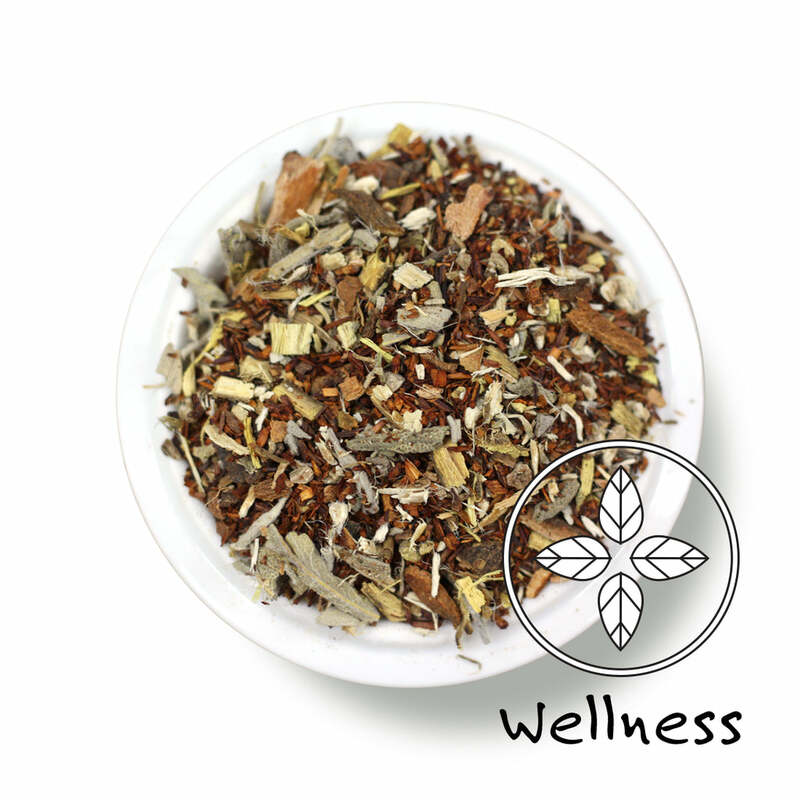 Ingredients: Elecampane, licorice, marshmallow root, rooibos, sage, wild cherry bark. Teapot (8oz water): 2 level tsp • 205º • Steep for 5 min. These statements have not been evaluated by the Food and Drug Administration. This product is not intended to diagnose, treat, cure or prevent any disease. 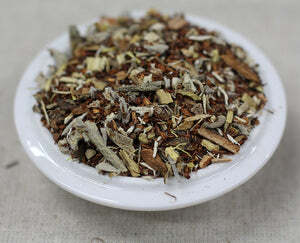 Consult with your physician if you are pregnant or nursing, or on any medications before consuming this tea. Some ingredients are not intended for children under age 18.